Los Angeles, CA -- A federal trial began Friday against Charles Lynch, 46, a medical marijuana provider from Morro Bay, CA, who had operated a city-sanctioned dispensary for qualified patients and their primary caregivers. 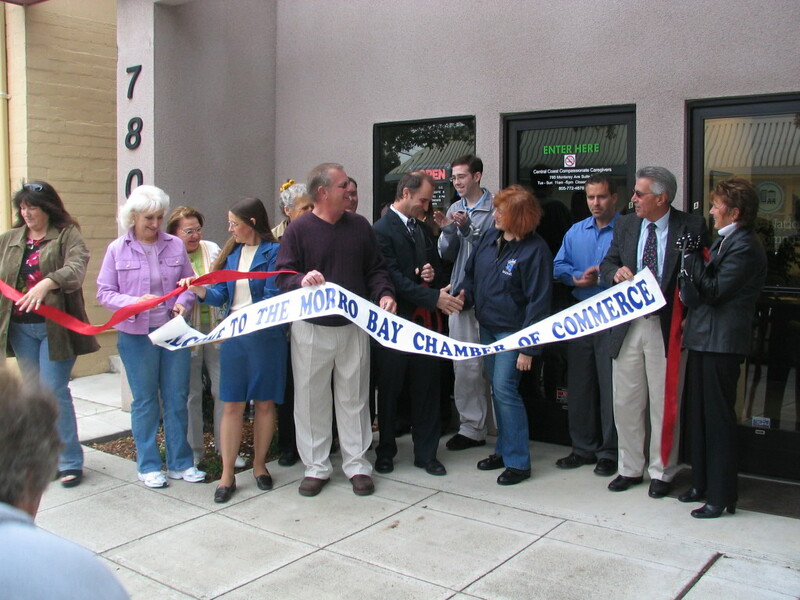 Before being raided by federal agents on March 29, 2007, Lynch had operated for 11 months without incident and with the blessing of the Morro Bay City Council, the local Chamber of Commerce, and other community members. Now that opening arguments in Lynch's trial have revealed he had contacted the DEA before opening his dispensary, his attorneys are arguing an "entrapment by estoppel" defense. Lynch was not arrested during last year's raid on his dispensary, Central Coast Compassionate Caregivers (CCCC), and he reopened soon after. After Lynch's landlord was threatened by the DEA with forfeiture of his property unless he evicted Lynch, CCCC was permanently shut down on May 16, 2007. Then, for no apparent reason other than to maliciously prosecute Lynch, he was federally indicted two months later and charged with conspiracy to possess and possession with intent to distribute marijuana and concentrated cannabis, manufacturing (cultivating) more than 100 plants, knowingly maintaining a drug premises, and sales of marijuana to a person under the age of 21. Lynch was released on $400,000 bail and, if convicted, faces between five and twenty years in prison. "It is a tremendous waste of taxpayer resources for the federal government to choose to spend millions of dollars to investigate, raid, indict, prosecute and potentially imprison someone who was abiding by local and state law in every respect," said ASA Chief Counsel Joe Elford. "It is shameful to put Lynch and his patients through this, and it is long past time for the government to reassess its priorities with regard to medical marijuana." Lynch's attorneys still aren't revealing many details of the defense, but they contend that Lynch made phone calls to the DEA with questions regarding medical marijuana dispensaries. It seems Lynch was not only deceived by the federal government, but also by local law enforcement officials. The months-long federal investigation against Lynch was actively supported by San Luis Obispo Sheriff Pat Hedges, including evidence of surveillance, infiltration, and the use of informants. In fact, Hedges is concurrently being sued in state court by Elaine McKellips, a former patient of Lynch's collective, for seizing private medical records in the raid on the dispensary. Often, when local officials believe they may not prevail in state court, evidence will be turned over to the federal Drug Enforcement Administration (DEA). Because of the 2005 U.S. Supreme Court decision in Gonzales v. Raich, federal medical marijuana defendants are prohibited from entering evidence related to medical marijuana or their compliance with local and state laws. Since the Raich decision, more than a half-dozen federal defendants have been found guilty at trial and sentenced to several years in prison, despite not breaking any local or state laws. Lynch himself is expected to testify in a trial before U.S. District Court Judge George Wu, which is supposed to last at least through the week. Also, to refute his charge of selling marijuana to someone under 21, Lynch is expected to call to the stand Owen Beck, a 17-year old bone cancer survivor who was a patient of Lynch's and always accompanied by his parents, a requirement of the Morro Bay business regulations. Lynch's trial comes at the same time the California Attorney General is expected to issue guidelines regarding medical marijuana. As states like California move closer to full implementation of their laws, the federal government is becoming increasingly marginalized in its position and its aggressive enforcement of federal law. Five California Mayors and numerous City Councils have expressed opposition to federal interference in the implementation of state and local law, namely the harmful tactics used against dispensaries and property owners. House judiciary Chair John Conyers has also expressed concern over DEA tactics and is moving toward Congressional oversight hearings. Media is encouraged to attend Lynch's federal trial currently under way at: U.S. District Court, 312 North Spring Street, Courtroom 10, Los Angeles, CA 90012.